Former Liverpool defender Glen Johnson has posted a series of videos on social media website Instagram that show him working out at a gym. According to reports in the Daily Mail, the aim is help him try and find a new club. 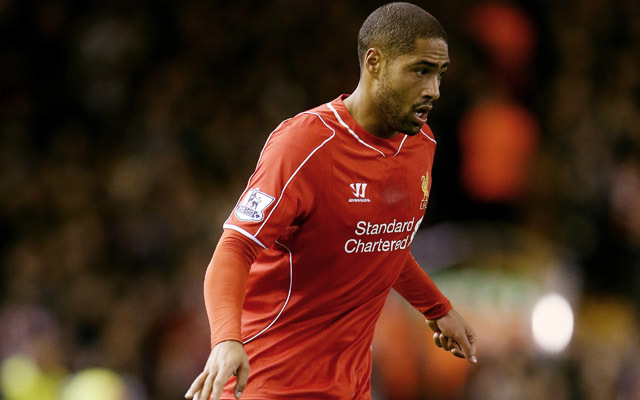 Johnson was released by the Reds at the end of last season, after six years and 200 games for the club. The 30-year-old has been linked with moves to West Ham United (via the Mirror), and to Turkey (via the Echo), but those rumours appear to have come to nothing thus far. The England international was in and out of our team last season, struggling to hold-down a place ahead of youngsters Emre Can and Javier Manquillo, and as a result the full-back has moved to reassure potential future employers of his abilities. Unfortunately, we think he might have missed a trick… not one of the videos actually shows him playing football. Who knows, perhaps he just wanted to prove to his followers that he could hit a tyre with a hammer.